Bishop Marcus Stock was on born on 27 August 1961. He is a graduate of the University of Oxford where he studied theology at Keble College. He subsequently trained for the priesthood at the Venerable English College in Rome, and was awarded a Licence in Dogmatic Theology from the Pontifical Gregorian University. Whilst in Rome he was ordained a Deacon by the late Cardinal Basil Hume OSB. Bishop Marcus was ordained to the priesthood on 13 August 1988 by the then Archbishop of Birmingham, the Most Reverend Maurice Couve de Murville. From 1988 until 2009 he served in a number of parishes within the Birmingham Archdiocese and has been Parish Priest of St Birinus, Dorchester-on-Thames, St Peter’s, Bloxwich and the Sacred Heart and St Theresa at Coleshill. 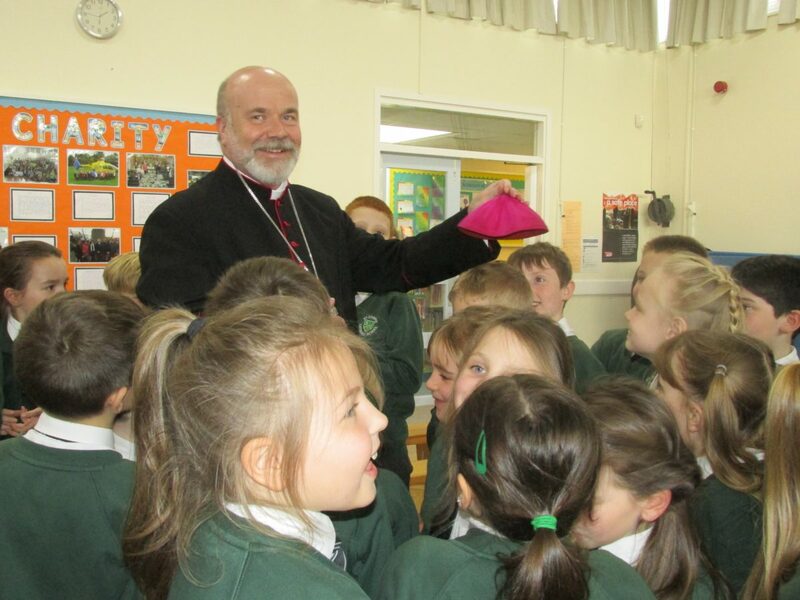 From 1988 to 1994 Bishop Marcus was Tutor in Theology for the Archdiocese of Birmingham’s Permanent Diaconate Formation Programme and he was also a teacher of Religious Education at the European School at Culham, near Abingdon in Oxfordshire, from 1991 to 1994. From 1995 to 1999, he was Assistant Director of Schools for the Archdiocese of Birmingham, becoming Director of Schools from 1999 to 2009. In 2009, he moved to London when he became the General Secretary of the Catholic Bishops’ Conference of England and Wales, a post he held at the time of his appointment to the Diocese of Leeds. From late 2011, until the Spring of 2013, he was also the Acting Director of the Catholic Education Service. 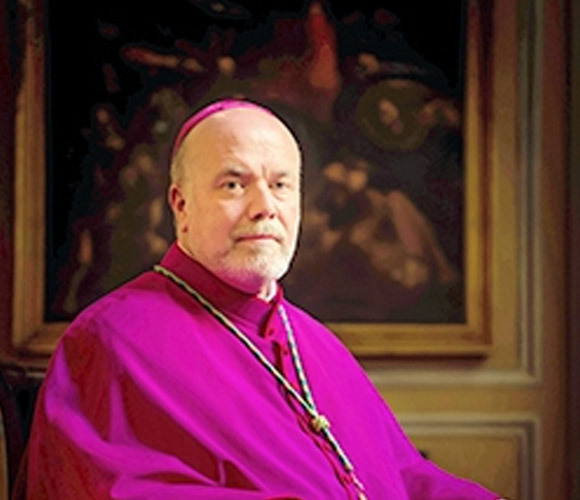 He was appointed a Prelate of Honour by Pope Benedict XVI in 2012. Bishop Marcus’ appointment to the See of Leeds by Pope Francis was announced by the Vatican on Monday, 15 September 2014 and he was ordained Bishop and installed as the tenth Bishop of Leeds on Thursday, 13 November 2014. His episcopal motto is Desiderio, desideravi (Luke 22:15) which translates as ‘I have desired with desire to be with you’.